The Airtel triple data offer is no doubt one of the cheapest data plans you can get at the moment, as long as you are eligible. With this offer, you are definitely getting a good value for your money. 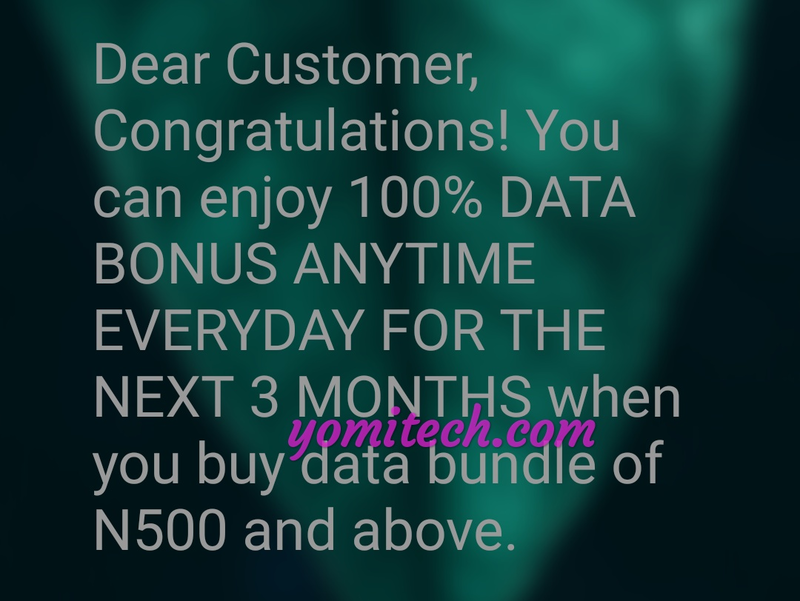 With the triple data offer from Airtel, you can get up to 2.2GB of data for N500 and 4.5GB for N1000. If you are a heavy user, you can even get as much as 10.5GB for just N2000. But just like other Airtel offers, this is also SIM selective meaning it won't work for everyone. 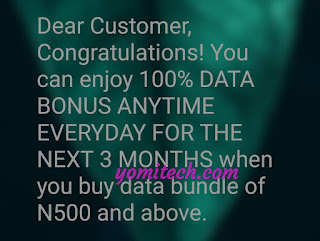 >> Get any new Airtel SIM card that is not up to 3 months old. >> Send Get to 141. >> Make sure you get the SMS below before you proceed to the next stage. >> Send MIFI to 141. >> After that, just recharge with the codes below. That's all guys. Enjoy the offer while it last and don't forget to kindly share this post with your friends if you find it helpful. Shouldn't one recharge the card first before dialing that? of course you have to.